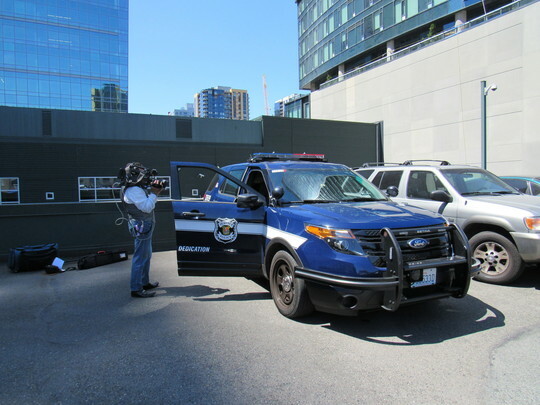 Awesome videographer/editor Bosaiya gets a shot of a Seattle Police vehicle during filming of the PSERN Video. Currently, we are working on Civil Site Development. Given the number of tasks that are involved, this can be a long and tedious process. Some of those tasks include checking to see if there is power available at a site and if not figuring out how to obtain power, are there airports nearby, any obstacles such as buildings or trees that would interfere with the towers being able to communicate with each other, flood plains, access roads and obtaining permits from local, state and federal jurisdictions-all of which take quite some time. In addition to Civil Site Design we have one or more leases we have to obtain for each site which is also a very complex process. First we have to acquire leases from property owners (which in some cases there may be more than one) track down their contact information, get their okay to build on the property, negotiate rent and other terms and conditions, and once all parties agree we then have to get each lease approved by King County Council. Due to the magnitude of this project, there are a lot of moving parts that are equally important. 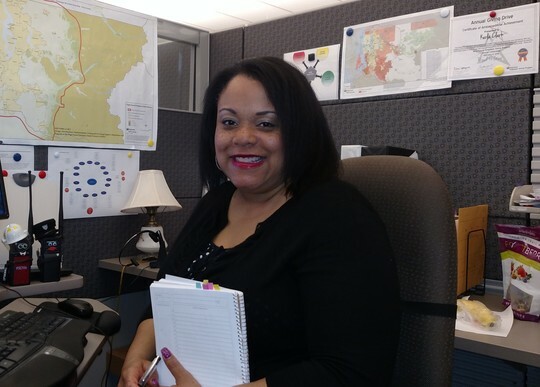 Our dynamic project team is working very hard each day to make sure we make demanding deadlines, manage vendors and keep them accountable, manage and coordinate project schedules, keep stakeholders informed and those are just a few of the many issues we deal with on a day to day basis. We will continue work fast and furious to ensure that we deliver a quality radio system that our first responders can rely on and continue to keep our region safe. Thank you again to our partners and stakeholders who continue to support our efforts! This region is known for bad rain storms that include a lightning strike or two! Not to mention the gusty high winds strong enough to rock the SR 520 Bridge! So we have to make sure the radio towers can withstand all types of weather conditions. 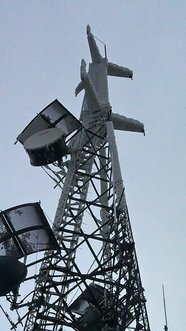 For example protection such as ice shields are necessary to prevent large icicles that fall from the top of the tower from damaging radio antennas and microwave dishes. Even though towers are built to withstand the rain, sleet and high winds, unfortunately the building work at some sites often have to be delayed because of those conditions. When hazardous conditions arise it can bring work at a site to a complete halt. Especially in mountainous areas. Mountain snow can sometimes be conquered with a Snow Cat vehicle that can drive right over it, however in cases where conditions are beyond plowing a helicopter is also an option to airlift materials into the site. 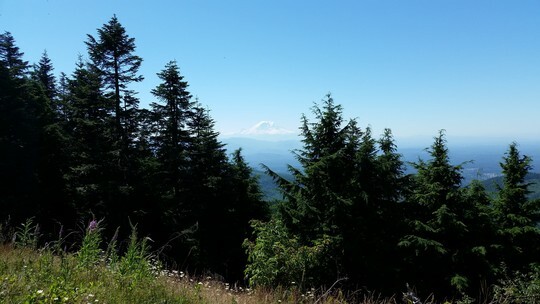 Towers, Trees & Bears Oh My! We have all seen those big tall radio towers with antennas looming in the sky. From a distance they all look the same and you may thing the process is the same for each. But the reality is that it actually depends on the size of the tower that determines how simple or how complex the process will be. If a small radio tower needs to be built within city limits that can be bolted on top of a building, then you simply need a building permit. However, if there is a need to start from scratch such as a shelter needs to be built to house radio system equipment or maybe there isn’t a power source at that particular site and it needs to be figured out how we get power there, then things are a little more complex. One year and 7 months! 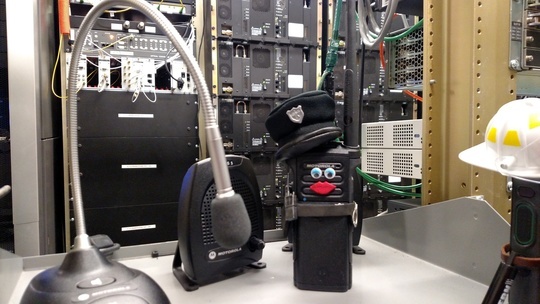 I am responsible for coordinating and managing communications activities for the project including our Web site, social media, newsletters, strategic communications, correspondence, media relations, stakeholder outreach and personal publicist to PSERN Mascots Firefighter Mic and Officer Squelch! Meeting the first responders who work so hard to keep us safe. I appreciate hearing their stories and knowing that the project I am a part of will impact their lives and the lives of people who live in King County. I also like developing the newsletter! Producing and directing the PSERN video! It was a lot of fun and a chance to use my creative side. Last week, my partner Officer Squelch tested some of the new equipment for the new MCC 7500 dispatch consoles (yes that’s me lurking in the corner there). In case you missed Mic's latest blog here it is! 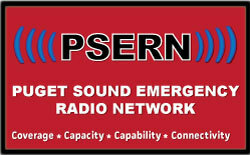 When we talk about the PSERN project people first tend to think about radio towers or radios that first responders use in their cars or carry around. However, even more important, when you call 911 a dispatcher answers the phone and sends police officers, fire fighters, and emergency medical staff to an emergency using a radio communications system. The dispatcher also has a console that they use to input information and communicate to tell first responders where to go, send information and updates on the situation and to monitor where first responders are for their safety as well. Over the next few weeks you may see myself, Officer Squelch and PSERN staff in your office! We will be visiting dispatch centers to look at dispatch console configurations for the new system. Existing dispatch console equipment will be replaced with new state of the art equipment that will have the latest features that come with a Project 25 Standard Phase II radio network. Some of you may think that a Public Safety Answering Point (PSAP) and a Dispatch Center are the exact same thing but there actually is a slight difference. The PSAP’s answers all 911 calls and sends first responders to the scene of an incident. Dispatch centers send emergency vehicles and personnel to an incident but not all of them answer 911 calls.